Did the unfortunate cancellation of our last race make you even more keen to get out and amongst it?! 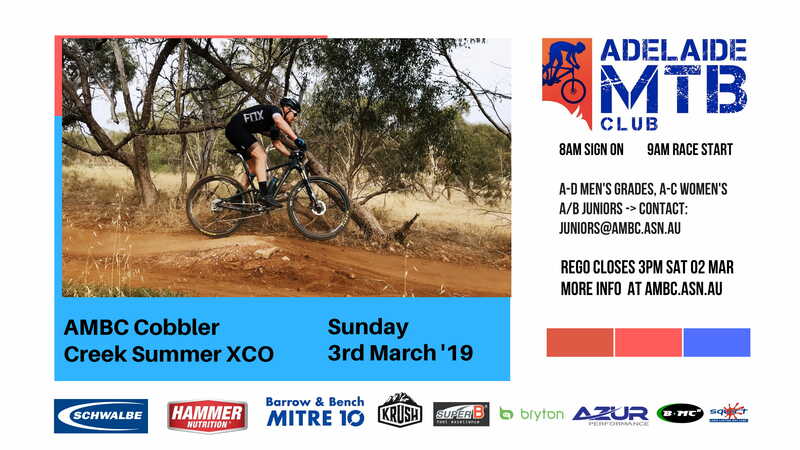 Join us on Sunday the 3rd of March for the second round of the AMBC Summer Cross Country Series, at the classic Cobbler’s Creek trails for a fast paced XCO race! Picture thanks to Fame and Spear Photography! Self seeded categories for XC racing. A through to D grade, with Women’s A and B categories, as well as Junior A and B categories. Is in the main carpark at Cobbler’s Creek. The gate will close at 2pm or when the event organisers leave the premises. Please ensure your car correctly parked before the gate is closed. 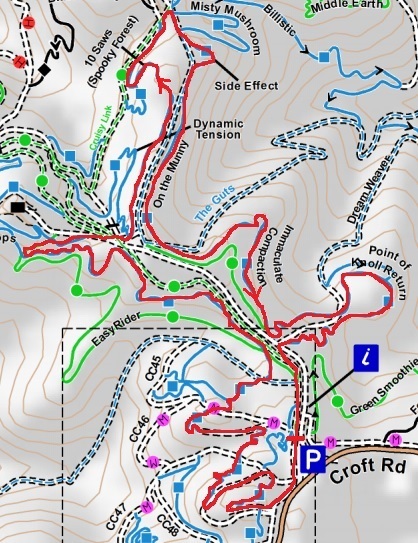 The race course, race HQ and parking locations will be located near the main gate at Cobbler’s Creek. Parking will be in the main trail head car park. 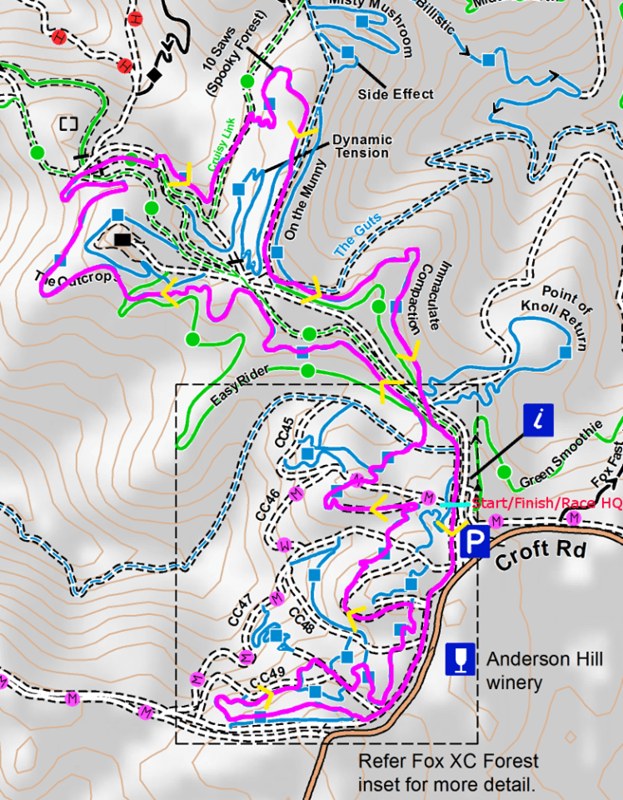 The loop is 3.65km long with 95vm and utilises beginner to intermediate trails. Each club race course is designed based on the target race time, which for all summer series races is approximately 1 hour. The lap time is approximately 11 mins for A grade men, doing 6 laps. To get a better approximation, it is best to pre-ride the course. Start order is A-grade men, followed by each grade as a wave with a gap (tba) to the next grade. Call up and briefing will be 10 mins before start. 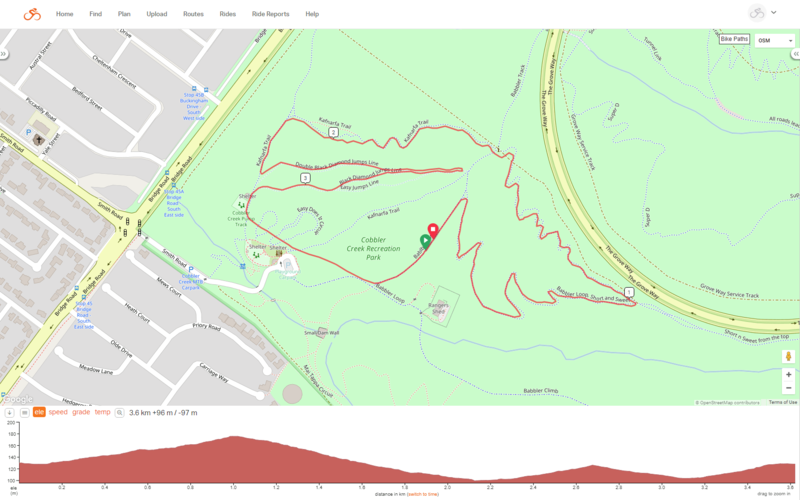 A proposed course map and .gpx file is available in the discussion section of this event page. It is a guide of the layout of the course. If you have any questions, feel free to email 2019committee@ambc.asn.au for more information or PM the page! 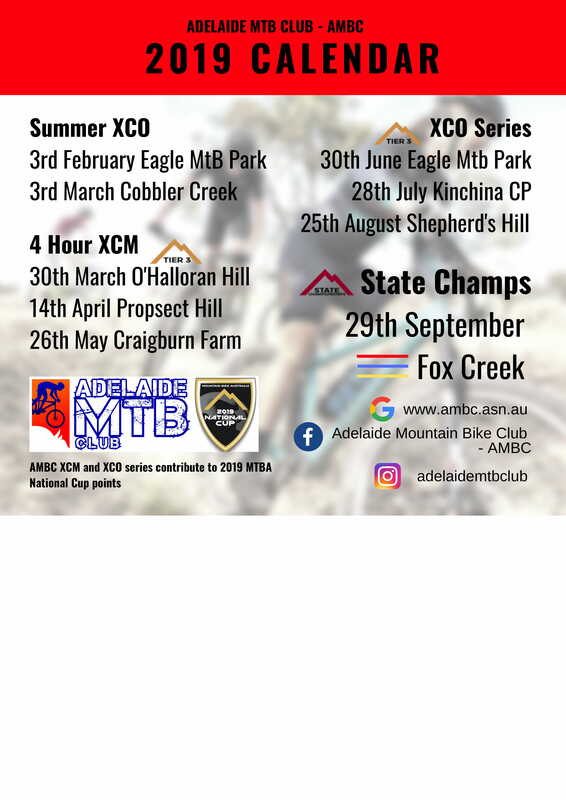 Join us on Sunday the 3rd of Feb for the opening round of the AMBC Summer XC Series, at the ever convenient Eagle Mountain Bike Park for a fast paced XCO race! Our Summer XC racing series aims to include riders of all levels of skill and fitness to mountain biking, using a shortened course. If you have any questions, feel free to email 2019committee@ambc.asn.au for more information! The entry link and info are just below the image, so keep scrolling! In case you missed it, we released our club calendar for 2019 too! These are the dates and locations as arranged thus far, however may be subject to some change. The race HQ will be positioned at the most easterly end of the park, in proximity to the toilets and hall. 10 min lap for A grade riders, 20 min for D grade riders. Lap counts may be subject to change.